Here is how it all goes down. A cute, high school whiz kid Judyth Vary, gets interested in cancer research from the death of her grandmother and develops a series of science projects that quickly garners the attention of powerful people in science, the military, and politics. She gets publicity, supplies, and lab space do her ever expanding research. Not lacking in moxie, she later crashes an important scientific conference in Tampa and meets one of the prime movers in cancer research, Dr. Alton Ochsner, who flies down to personally meet her. Impressed with her work, he invites her to New Orleans to work on cancer research and continue her education at Tulane. Sounds like a fairy tale come true! A true Cinderella story for a 19 year old. But things are not what they seem. It actuality she brought in not to work on a cure for cancer but a clandestine project to find and isolate a cancer causing virus for the purposes of assassinating American’s number one Cold War boogie man, Fidel Castro. In the process she comes into contact with every major figure of JFK assassination lore: David Ferrie, Jack Ruby, Clay Shaw, Guy Banister, Drs Ochsner and Sherman, and finally, Lee Oswald who becomes her lover. However, when they decide they want to test the cancer virus on human subjects, mental patients, Judyth balks and in the process sacrifices a promising career in medical research. She takes on the life of a wife and mother, lying low and eventually seeking political asylum in Europe where she now resides. It’s an easy going narrative that quickly thrusts the reader into the hot, humid summer of 1963 New Orleans; a backdrop of Cold War intrigue and shadowy characters loaded with the sights, sounds, and smells of the era. Judyth puts the reader in the here and now. There is no, “I remember when...” It is a constant beat of events as if they are happening now, not nearly 50 years ago. And probably the most surprising thing one can take away from this work is her account of Lee Oswald himself. In this portrayal, he is no longer a stranger in a strange land, the disgruntled ex-Marine living on the fringe of society unable to get along. Instead, we glimpse a warm, carrying and even compassionate man. A patriot that loves his country and willing to make any sacrifice to preserve the Republic. It takes a while for this to settle in. It’s like waking up from a dream or being told that Hitler or Stalin were really nice guys after all–just misunderstood. To say this book shows a completely different side of Lee Oswald is a major understatement. He is totally different! Probably the most striking thing about the book is attention to detail. It’s both a blessing and a curse. The details of early 1960’s New Orleans are astoundingly revealing, but borders on being too much so. Apparently, this lady rarely throws anything away. There are photos of matchbook covers, trolly car tickets, newspaper clippings, letters, birth certificates, and check stubs. It is amazing what is retained. Everything is here but a love letter between the two, or a picture of them together. Even a fateful event, such as Judyth and Lee both getting employed at the Reily Coffee company has proof. She still has the original job wanted ad, with the jobs both of them got, circled. Who retains this kind of stuff? Perhaps she realized she was in over her head dealing with these spooky characters working on clandestine medical experiments and sought to protect herself in saving every scrap of paper associated with this world. And many of these events Judyth relates are so far-out that having those scraps of paper helps verify what she is saying. Even more amazing is the attention to detail in the conversations. How anyone could retain this much dialogue from so long ago is hard to believe and my main uneasiness I have about her book. There are dozens of detailed exchanges recorded here. For example in her first meeting with Dr. Mary Sherman at her apartment (which included David Ferrie) the conversation flows on for seven and half pages as if there was a stenographer in the room to record it all. Obviously not–perhaps she was keeping a journal at the time to retain these discussions and that is hinted at with a photo of a typed diary page. I cannot say in good faith these numerous chats noted in the book (and there are dozens) are the result of literary invention. I simply don’t know and I find it troublesome. 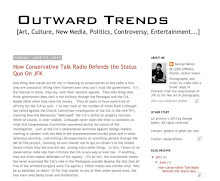 Studying what we know of Lee Oswald from a variety of sources and books, her account does not contradict what is known and overall, is quiet accurate. The other events surrounding the assassination are also well researched and presented. Judyth Vary Baker reveals herself as being well versed and knowledgeable on all subjects mentioned. I would endorse her as an expert on the case. 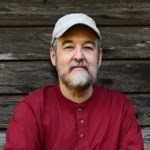 John Armstrong is the author of Harvey and Lee, the main book on the Oswald as doppelganger theory. Even if you don’t agree with Oswald being doubled by the CIA for clandestine service, its 900+ pages make a great source book for all things involving the Kennedy association. There are things in this one book you will not read elsewhere. A meticulous researcher, Armstrong lists hundreds of people that have came into contact with Lee Oswald throughout his life and especially the many people that encountered him in the summer of 1963 in New Orleans. Judyth Baker is not one of them; she is never mentioned once. Yet in Judyth’s account she and Lee were all over town, dining out often, hanging out in Ferrie’s apartment, having dinners with Jack Ruby, visiting Guy Banister’s office on Camp Street, among many other happenings of this nature. There is in effect, only one witness, Anna Lewis, that places her with Oswald in these other places outside of the Reily Coffee Company. There is no other researcher/author that has her with him outside of Reily Coffee either (there is Ed Haslam but he just repeats her story in Dr. Mary’s Monkey). Ultimately, it all lies in her version of the events. We have to trust her. What Judyth Vary Baker succeeds at is making her amazing story ring true. She bluntly tells all including her own personal failings, such as cheating on her difficult, distant husband. She is as hard on herself as anyone else mentioned in the narrative. In regards to Lee Oswald her take is that he is a behind the scenes player, creating multiple false trails to cover his true identity, willing to do anything and sacrifice all for his country. Judyth also succeeds in filling in the missing bits of Oswald’s mysterious dealings in a logical sequence of events. The FPFC phase was nothing more than theater. Judyth tells us why, in a manner than makes sense with this and other phases, filing off the rough bits. Despite all that is written here about his character and the hundreds of words of conversations Judyth allegedly has with him I don’t really feel I know this version of Lee Oswald any better than the Warren Commission version. There is still much mystery in this man. But at least we have two full versions to think about. I do think Judyth Vary Baker proves her early life as a science whiz, the attention she garnered, and the contacts she made that sent her to New Orleans. I think her evidence she provides frames this early period of her life truthfully. All events that we can double-check are well written and accurate which I think adds credibility to her story. Her meeting of Lee Oswald and her many moments spent with him, her interaction with all of the main characters and the behind the scenes skulduggery, one has to accept on face value or not. There are revelations here such as Jack Ruby telling her that he knew Lee Oswald from when he was a boy; Oswald receiving $200 a month in salary from the CIA; he maintains two apartments in New Orleans for use in operations; Lee states that his alias, Alek Hidell, was a “project name” used by other operatives. The list goes on and on and makes for fascinating reading but many of these disclosures are not documented, they are just what Judyth gleamed from conversations with others. Probably the most striking thing about her book is that to the last page, it all makes sense. Despite so many improbable incidents, overall, her story has a ring of truth to it. Perhaps Richard Helms was wrong. 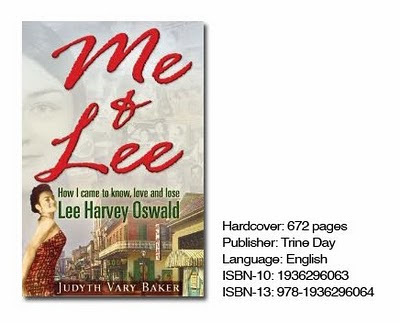 Perhaps we can know what Lee H. Oswald represented through this one book.